A $50 million prize awaits one of seven cities testing the best ways to deploy intelligent transportation. The end of congestion brings many tantalizing promises: safer roads, less pollution, a better life for people in low-income neighborhoods. The technology to make that happen — intelligent transportation — always seemed to be just around the corner. The effort to build a smarter transportation network, which could put a big dent in congestion, is taking a step forward in the form of one gigantic carrot the U.S. Department of Transportation (DOT) is dangling in front of America’s cities. The DOT will award one city a single big prize of $50 million along with a conglomeration of services and products from tech companies that have scrambled to attach their names to the project. 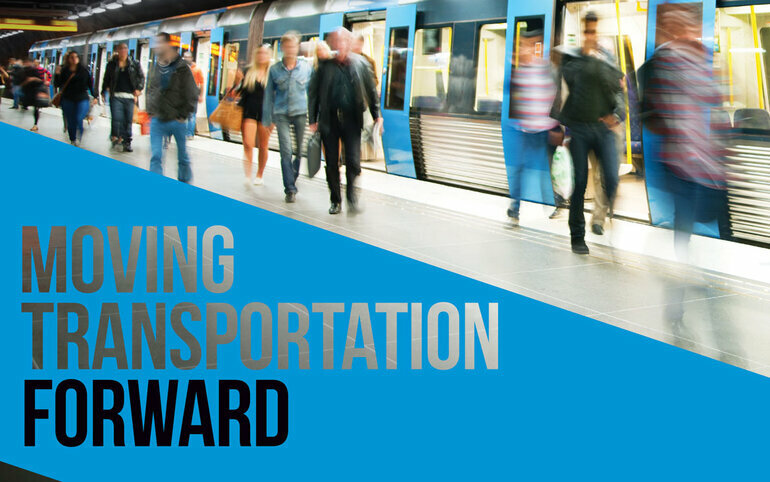 While only one city is getting that prize, its very availability has helped fuel a movement that may well set the tone for smart transportation projects for a long time to come. That’s because the finalists in its Smart City Challenge are proposing projects involving technology that’s only just now beginning to emerge — things like self-driving cars, vehicle-to-infrastructure connections and wireless electric vehicle charging. Though Sidewalk Labs announced halfway through the Smart City Challenge that it will be offering more than 100 Wi-Fi spreading kiosks to the winner of the competition, many cities were already planning on working kiosks into their projects. There are a lot of possible uses for the technology, but the core idea is to spread connectivity to citizens who lack it, provide a physical infrastructure to support smart vehicles and act as data-gathering nodes. That’s because the kiosks would represent a new form of infrastructure ready to serve as stationing points for data-gathering sensors in the future. They could help users book rides and then connect with the vehicle they’re planning to ride in. They could gather data on traffic movement or let people know where parking is available. They could even work to support the coordination of traffic signals to give priority to transit. Essentially they are part of the strategic build-out of infrastructure to establish a connectivity and data-sharing network. The DOT granted seven finalists in the challenge — San Francisco; Portland, Ore.; Denver; Austin, Texas; Kansas City, Mo. ; Columbus, Ohio; and Pittsburgh — $100,000 to build partnerships and develop proposals to deploy that technology. Representatives of those cities say they want to pass along the lessons they learn during the process to the rest of the country. In the world of transportation, there’s constant chatter about emerging technology that could upend the status quo, redefining even basic concepts like the need for personal vehicle ownership. But some of that technology has been “on the horizon” for a long time. For example, in 2004, the Federal Communications Commission set aside a band of radio frequency exclusively for connected cars. And yet little has been done to take advantage of it beyond making it available to a small sliver of the automobile market. Following a trend that was already gaining ground before the Smart City Challenge, several of the cities propose to either demonstrate or fully deploy self-driving shuttles. Consistent with the relatively immature state of the technology, most of these proposals have limitations. The shuttles might operate on fixed tracks near key areas such as airports, downtowns and colleges where engineers can look to limit unpredictable circumstances. In addition, some might only travel at low speeds. Regardless, the technology fits in well with other components of the challenge. For example, vehicle-to-vehicle and vehicle-to-infrastructure connectivity could help autonomous vehicles navigate and adapt to situations. And because the conceptual autonomous vehicles being tested today are largely electric, they also fit in with plans to encourage electric vehicles and charging infrastructure in the winning city. But the ability of cars to connect with networks could be hugely important. It could save lives, reduce congestion, speed emergency vehicles to their destinations and pave the way for self-driving cars. It could make it easier for people to find the most efficient means of transportation, and give engineers the insights needed to make the best decisions about building infrastructure. The DOT’s challenge will be getting one city to build up its transportation connectivity capabilities in ways as of yet largely unexplored at scale. That city will have plenty of lessons to give to others that will help them complete connectivity projects of their own. “We can show them, here’s what we did well and here are the mistakes we made,” said Bob Bennett, chief innovation officer of Kansas City. Many of the cities marked as finalists are already in a good place to be able to do that. Kansas City is one of five worldwide municipalities in the Institute of Electrical and Electronics Engineers’ smart cities technology sharing program. Pittsburgh touts its participation in the U.S. Conference of Mayors and the National League of Cities. And then there’s the simple geographical reality that none of the cities involved in the contest exist separately from the others. Major transportation work in Kansas City will inevitably stretch into the auspices of state government in both Missouri and Kansas. San Francisco sits in a unique, sprawling urban area dependent on commuting and spread out across multiple counties. The lead officials behind Columbus’ proposal point out that they’re within a short day trip of other major transportation hubs such as Detroit, Cleveland, Pittsburgh, Indianapolis and Louisville. “That adds to our ability to quickly transfer information and project ideas and successes to these other cities so that they can implement them too,” said Randy Bowman, assistant director of the Columbus Department of Development. The Smart City Challenge finalists have focused on project proposals they hope will influence the future of smart transportation. In Kansas City, that would mean automated vehicles shuttling people to the airport and possibly the downtown core. 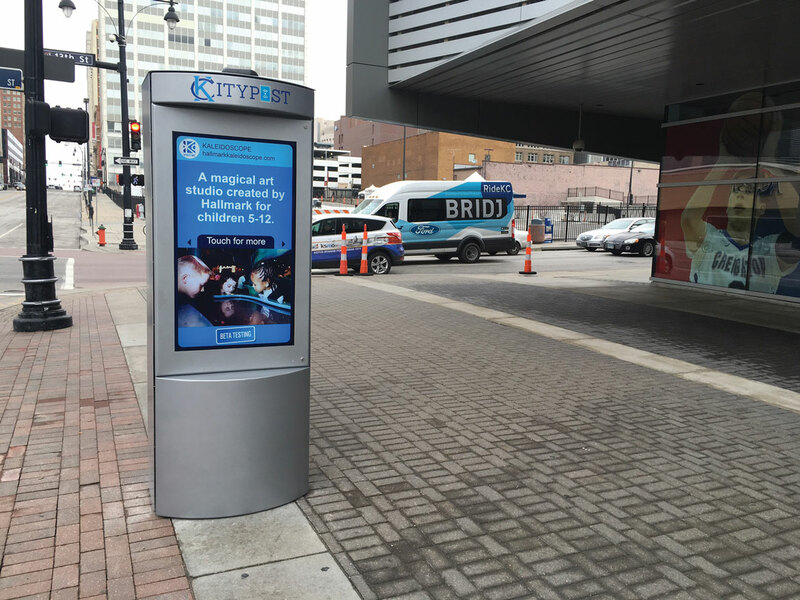 Kiosks, which the city is already installing along its 2.2-mile streetcar line, would be deployed in more areas to give citizens without Internet access the ability to find their best options for getting around. Sensors would tell drivers about pedestrians entering crosswalks, and traffic signals would give priority to certain vehicles. Smart streetlights and cameras would improve safety, and gunshot detection systems would feed directly into police patrol cars. The scheduling of the city’s transit options would be coordinated, and the bike-share program — now with more stations — would offer better information about how many bicycles were available and where. As one of the busiest freight hubs in the country, Kansas City would work to make conditions better for truck drivers. Trucks coming to pick up freight from trains might connect to traffic sensors to keep them from piling into rush-hour traffic. Vehicle-to-vehicle connections could enable them to drive in platoons, giving them better gas mileage. Columbus has a slightly different idea for its freight operations. That city wants to develop an application that will combine real-time information about traffic conditions, height and weight restrictions and other factors important for heavy vehicles and use all of it to guide drivers to the best route. Meanwhile, the city would look to connect specific underserved neighborhoods to education, job centers and all Columbus has to offer. A particular area of emphasis would be South Linden, a neighborhood north of downtown with high incarceration rates, low education levels and an average lifespan about eight years shorter than the rest of the county. “We have a lot of residents in the neighborhood that may not have ready access, that may have challenges on a daily basis in gaining access to transportation,” Bowman said. Part of the plan is to put a smart corridor right through South Linden that would connect it directly with major employment centers. The corridor would include bus rapid transit, traffic signal prioritization to support the BRT line, and a program targeted at people who use cash instead of electronic payment. Because many people in South Linden rely on physical money (cash, checks), it can be tough for them to access services like Uber and Lyft. So Columbus is reasoning, if it can find a way to bridge the payment gap, neighborhoods like South Linden should have better mobility. Though the proposals were all guided by emphasis areas the DOT identified at the outset of the competition, each city brought its own unique spin to the concept of smart transportation. Denver’s plan focuses a lot on electric vehicles, while Austin wants to build out its network of park-and-ride centers and outfit them with technology to transform them into “one-stop shop” travel hubs — the idea being that instead of all trying to cram into the same place, citizens travel to their closest nexus point and ride together to common destinations. Portland’s big push would be to launch a “mobility marketplace” supported by a cloud and pushed out to smartphones. The marketplace would not only give people information about the state of traffic near them and what their best options for travel are, it would also give them the ability to both buy and sell mobility services. The exchange would enable “actors” in the sharing economy, public transit sector and private transportation companies to all list their services side-by-side, and users would be able to compare the services based on factors such as price and greenhouse gas emissions. Since many — if not most — of the proposed projects involve gathering data or mining existing data, it makes sense that cloud technology plays a big role in the Smart City Challenge. In some plans it’s more central than in others, but the basic idea is that establishing a cloud infrastructure for the transportation operations of the winning city will both allow easy access to data and enable all sorts of new mobility projects. For example, the cloud might be the infrastructure through which kiosks in low-income neighborhoods connect people with bus rapid transit and other out-of-reach transportation options. The cloud could enable systems to handle fare payment, and it could help connect autonomous vehicles with the infrastructure that supports their movement. And perhaps most importantly, the cloud could serve as an open data source providing unparalleled insights to planners, engineers and entrepreneurs. By making it easy to collect and analyze transportation data, the winning city could be giving itself a resource that allows it to better plan infrastructure funding choices, target programs and develop mobility strategies. San Francisco might use the money to help address mobility challenges in low-income neighborhoods before they even develop. With a massive project promising to bring a couple thousand units of affordable housing to nearby Treasure Island, which is located in San Francisco Bay and isolated from the city’s main transit services, San Francisco County Transit Authority Executive Director Tilly Chang said she wants to have plenty of transportation options in place for future residents. “We want to have what we call a car-light lifestyle on the island in the future,” Chang said. Pittsburgh wants to leverage its existing data network to support the development of “smart spines,” or major non-highway traffic corridors in the city outfitted with sensors and controls. The idea would be to use the systems to improve traffic while also tackling other city priorities such as stormwater management and the development of a smarter power grid. The city would then open that data to the public so its citizens could help the system adapt to changing technology. In an ironic twist, the selection of one winner might not even matter in the long run. Regardless of which city actually wins, each finalist got to where they were because they already had many of the pieces in place to achieve the plans they were talking about: scores of local and national partners interested in high-tech transportation solutions, relationships with innovators in other cities, existing pilot projects, research centers and more. What the challenge did was prompt leaders to pool all those resources and come up with a plan. “I think in both cases, just the exercise of going through this process, and being able to go through this process as a finalist — we’re already making progress,” Pazuchanics said. And then there’s the fact that the DOT gave each of the finalists $100,000 early in the year to refine their proposals. That means the DOT has effectively pushed all the finalists into getting the ball rolling. The only difference between the winner and the rest of the finalists might be timeline. Many of the other finalists feel the same way. Whether they become technology pioneers or learn from the winning city, the wheels are already in motion to start deploying the sort of smart governance they hope will make their cities more equitable and easier to navigate. “[It’s] going to come regardless of the grand prize,” Pazuchanics said. The winner of the DOT’s Smart City Challenge is expected to be announced this summer. Ben Miller is a staff writer for Government Technology and FutureStructure. His reporting experience includes breaking news, business, community features and technical subjects. He holds a Bachelor’s degree in journalism from the Reynolds School of Journalism at the University of Nevada, Reno, and lives in Sacramento, Calif.